This entry was posted in Soap Design Techniques, Soapmaking and tagged Ecoviolet soap, Great Cakes Soapworks Soap Challenge, handmade soap, Lavender Geranium Swirl Soap, soap, Soap challenge, soapmaking, Spoon Swirl, Spoon Swirl Soap by ecovioletsoap. Bookmark the permalink. Your soap is looking beautiful, I also love your colors. I did some gold mica top swirls, but the gold turned green. Did you use gold mica on your top swirls, and does it stay gold? Thanks Yvonne! I used yellow mica and it initially turned orange. I looked at it today and now it is more yellow than gold. So interesting that yellow mica can change like that. Your soap looks so smooth! I love it! Thanks A! I am happy with how it turned out. It’s great to have you back, Janet! Your soap really does look very smooth – must be a great recipe! The swirls are gorgeous and the colors contrast very nicely! Excellent work! Very pretty love the color contrast and mica swirls. J, I have been looking forward to you joining the challenge again so much! I am glad you did it. 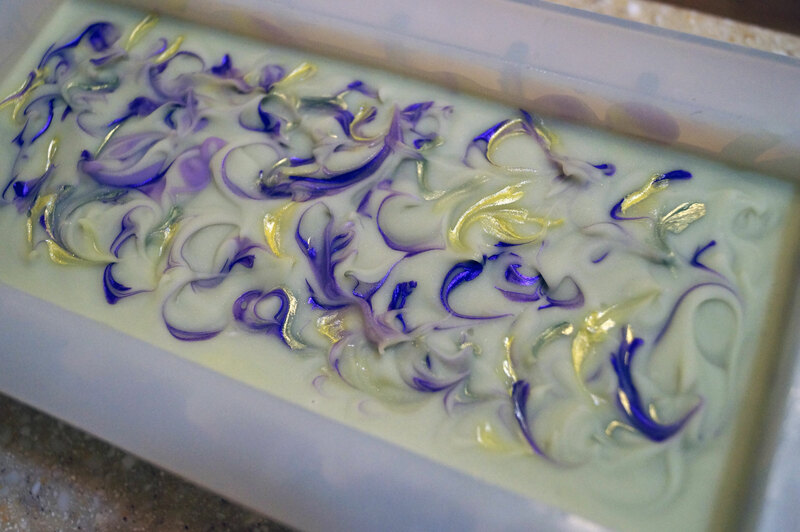 Your soap – the color combo, the swirls, the delicate top design, all of them together make it a great soap! Thanks Maya! I have been standing by the sidelines for the last few months but I have immensely enjoyed watching your creations. My favorite one of all time is the flower path soap. Beautiful soap! Love that purple! Thanks Natalia! It’s tricky to get a dark purple color! 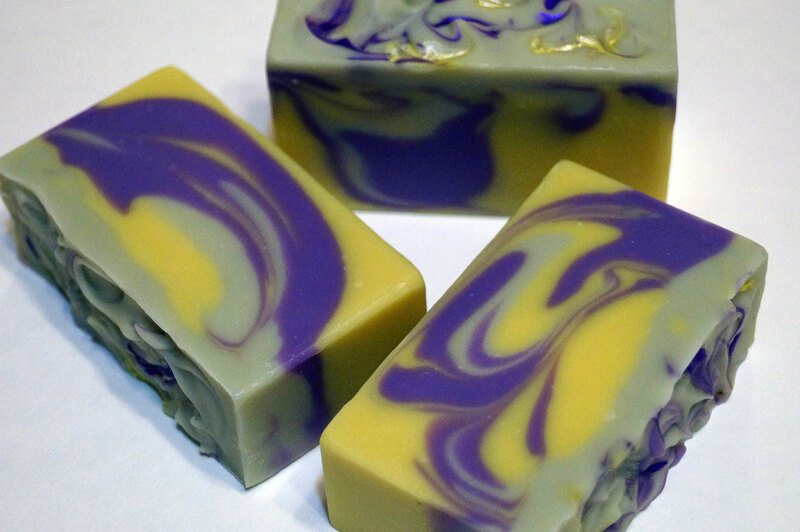 Well done for getting it made in time – I had a similar issue 😀 It’s beautiful, lovely colours, especially the purple, and I love mica swirls on the top of soaps. Thanks Vicki! Like you, since I was also in the swap, I felt compelled to get this done. Otherwise I might have let this one slip by too :).